I refer to your post “Our vote is not cheap, you need to earn it” on 28 October by Kumaran Pillai. I would like to point out the gross inaccuracies and blatant omissions that were carried in the article. You had reported that Mr. Frankie Low former member of the Reform Party had said that the opposition needs to consolidate before the next GE and then you went on to quote him on this: “We don’t have the people, the resources or the money to write elaborate policy papers.” This gives any reader the impression that Mr. Low is speaking on behalf of all opposition parties. 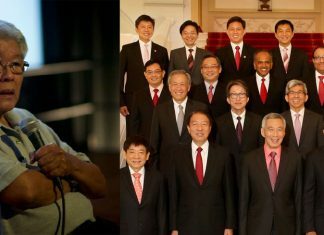 I have no doubt that you are aware that the Singapore Democratic Party has put up at least four major policy papers since 2011, namely, the SDP National Healthcare Plan, our housing plan Housing a Nation, our population paper called Building a People, our paper to address concerns of our Malay community called Singapore for all Singaporeans. These were all very comprehensive papers and yet, the article had omitted mentioning any of this. Yet Mr. Pillai had found it fit to call Chee an “anti-foreigner and teaming up with Gilbert”. The former also quotes Chee trying to juxtapose this to what the latter currently stands for. If the author had been responsible in his reporting, he would have quoted Chee’s defence of foreigners rather than desperately trying to paint the SDP SG as anti-foreigner.